It's never too early to start planning for the summer school holidays, particularly when tickets are already available for some of the most sought after activities. 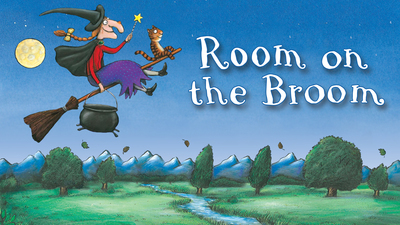 The Arts Centre Melbourne hosts another great theatrical performance for your family in January 2017; Room on the Broom, an onstage adaptation of the book by the same name. The book you may be familiar with, published by Macmillan Children’s Books, is written by the world famous author / illustrator combo, Julia Donaldson & Axel Scheffler. The creative duo have produced some of the best-selling children's book titles in the world: The Gruffalo, The Gruffalo's Child, The Snail and the Whale, Zog and many more. The onstage adaptation of Room on the Broom flies into Arts Centre Melbourne’s Playhouse from 4 – 15 January 2017 thanks to UK theatre company Tall Stories and Australia’s CDP Theatre Producers – the team behind the stage adaptations The Gruffalo, The Gruffalo's Child. The 13, 26 & 52-Storey Treehouse, Snugglepot & Cuddlepie and Mr Stink. The show will follow the story of the Witch and her cat, who travel on their broomstick in search of a fierce dragon. The two friends some new characters along their journey - a friendly dog, a rather talkative bird and a charming frog. But this broomstick’s not meant for five and - CRACK - it snaps in two... just as the hungry dragon appears! Who will save the poor witch and will there ever be room on the broom for everyone? 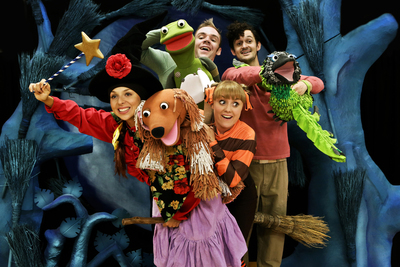 Expect a show filled with songs, puppetry and lots of laughs for children age three and up.